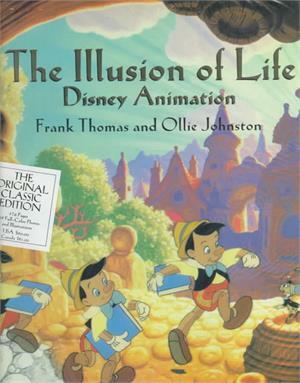 Written by the ultimate Disney insiders, this "bible" of animation has become a legend in itself. This volume seeks to explain the process that makes Disney's animation unique - what sets the work of the Disney studios apart from other animation products. Here are original sketches of best-loved Disney characters, how memorable movie sequences were made, and anecdotes about working with Walt. It contains 489 plates in full colour, and thousand of black and white illustrations ranging from storyboard sketches to entire animation sequences. Oliver Martin "Ollie" Johnston, Jr. (1912 - 2008) was one of Disney's Nine Old Men, and the last surviving at the time of his death from natural causes. He was recognized by The Walt Disney Company with its Disney Legend Award in 1989 and his work was recognized with the National Medal of Arts in 2005. He was an animator at Walt Disney Studios from 1935 to 1978, and became a directing animator beginning with Pinocchio, released in 1940. He contributed to most Disney animated features, including Snow White and the Seven Dwarfs, Fantasia, and Bambi. His last full work Disney came with The Rescuers, in which he was caricatured as one of the film's characters, the cat Rufus.